These cute luggage tags make a versatile addition to your wedding accessories, whether you’re looking for a way to jazz up your table napkins, wedding favours or cutlery. Featuring a smart hexagonal design edged in gold, the labels utilise the distinctive look of the Scripted Marble collection. 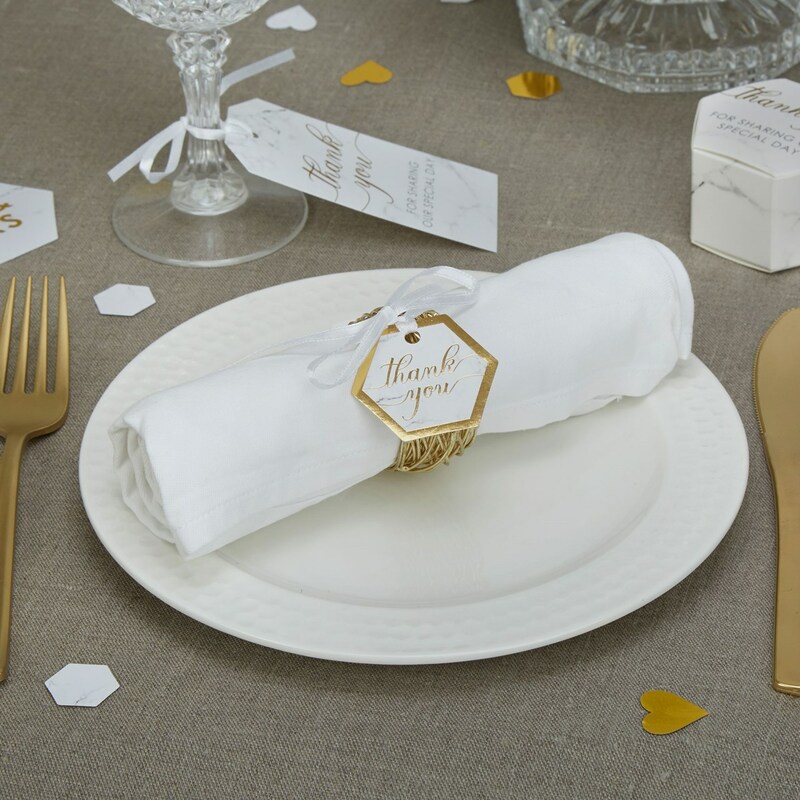 Embellished with gold text saying ""Thank You’, the tags are supplied with simple white ribbon so you can attach them to your chosen items. Each pack contains 10 Small Luggage Tags.